PTB 2001 Range: 1.5 oct (C5-F6). Chrome Plated. Tube Size: 32 mm. Casters: Single Rolled. Tuning: A=442 . Height Adjustable: No. Performing Standard 2000 Series. 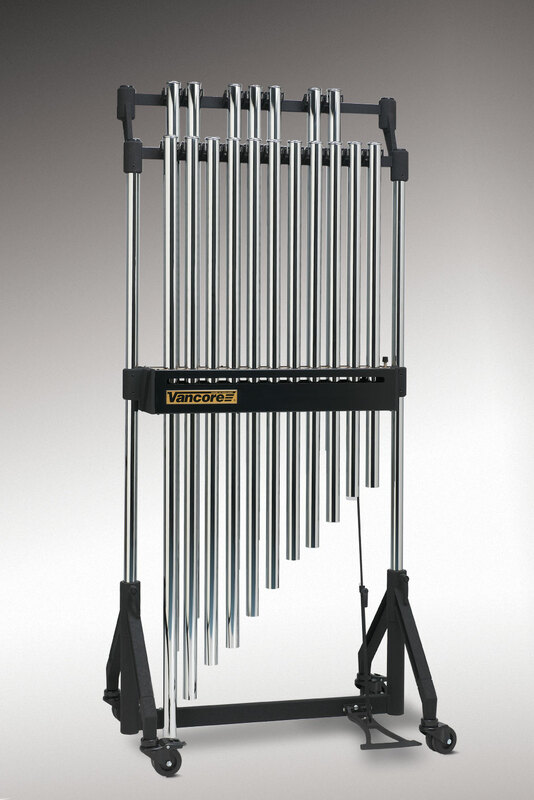 These set of tubular bells are fitted with 32 mm tubes. Non height adjustable and equipped with total stop wheels. Depending on model available with satin chrome or brass finished tubes.